Maplewood is a well-established neighborhood located just west of I65 off Murfreesboro Road. It is discreetly hidden behind the commercial businesses that flank Murfreesboro Road and surprisingly quiet given it's location. There are approximately 310 houses built between 1980 and 1995 ranging from 1,000 square feet to 3,100 square feet. The smallest home is 2 bedrooms, 1 bath with the largest homes having 5 bedrooms, 3.5 baths. You will find an interesting mix of styles in Maplewood including one-level ranches, traditional homes and cape cods with front porches. While there are many things to like about Maplewood, the location is the real attraction at less than a mile from Interstate 65 and two miles from the historic Franklin Square. This secluded neighborhood offers enticing amenities including a pool, pond, large park, playground and tennis courts. Maplewood has an active homeowner's association managed by Ghertner & Company. Maplewood falls within Franklin Special School District (FSSD) for elementary and middle schools and Williamson County Schools (WCS) for high school. Students currently attend Moore Elementary, Freedom Middle School and Centennial High School. Residents pay an additional property tax to be in FSSD but that is already accounted for in the annual taxes shown in the below home listings. School zoning can change from one year to the next so parents of school-aged children should always verify schools prior to writing an offer on any new home purchase. Maplewood is a hidden gem. Many home buyers aren't even aware of its location. Getting your home in front of the right buyers can be difficult in this new age of internet home searches. You want a real estate professional who knows how to get your home in front of Franklin home buyers. We've made it even easier for Maplewood sellers to promote their properties using search engine optimization (SEO). Not familiar with this term? Let us show you how we can help you sell your Maplewood home. As experienced Maplewood real estate agents, we are here to help you find the right Maplewood home for sale or sell your existing Maplewood home. 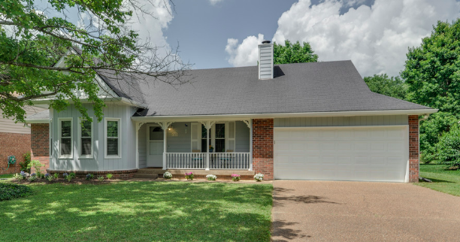 Having successfully sold Maplewood homes in the past, it is always our pleasure to assist both buyers and sellers with all their Franklin real estate needs.